Believe it or not, my first glass of wine in Australia was a rosé. 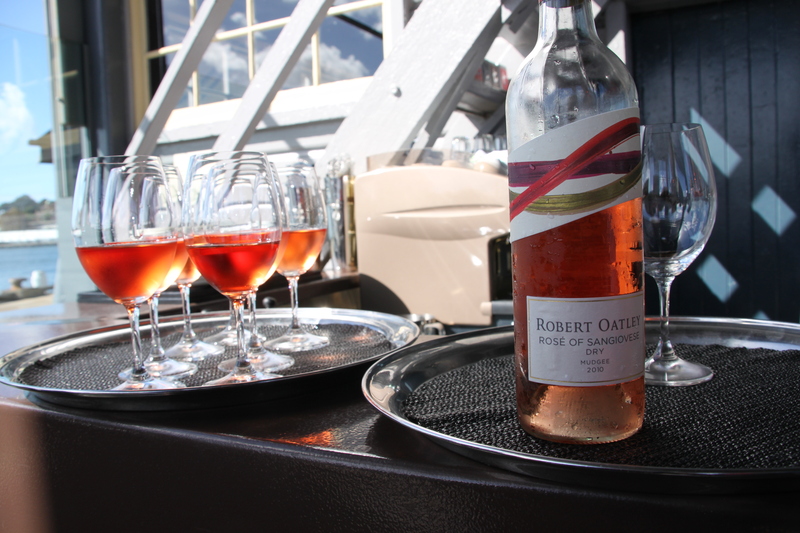 On the day of our arrival, we had a lunch at Flying Fish in Sydney, hosted by Robert Oatley wines. First up, was the Sangiovese rose, overlooking the Sydney Harbor. The second wine I had was a Gewurztraminer. I’m writing this as a poo-poo to anyone who thought I would be drowning in Shiraz. The wines I had on Qantas on the way over do not count. It was great meeting everyone on Sunday – I was a part of “Group 2” – East Coast and Canada, but I had a chance to meet the West Coast folks, too, before they made their way west to Perth. Sunday night culminated in a pub crawl of “The Rocks” neighborhood of Sydney. I made it back to the hotel by 10 pm, while others in the group ended their night at Golden Century at 4 am. On Monday morning, we departed Sydney headed for Hunter. Heading up a hill to check out the Hunter Valley. 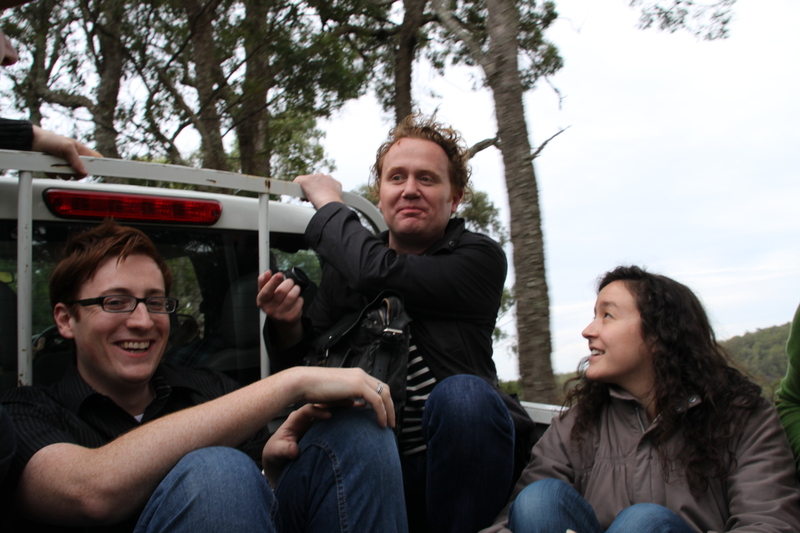 In true outback style, we rode in the back. 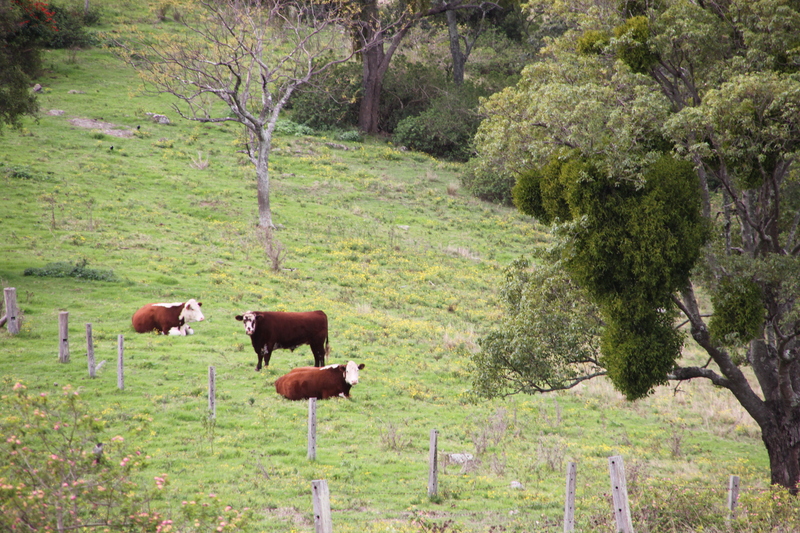 The cows share the vineyard land in the Hunter, or more accurately, the cows get the non-good vineyard sites. Apparently, the kangaroos only eat the grapes if they're really hungry (they prefer grass). 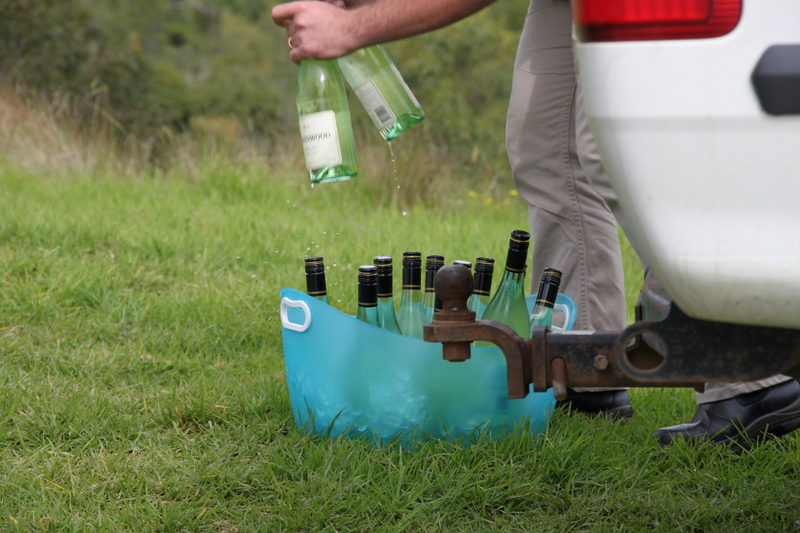 Our hosts from Brokenwood did not let us go thirsty at the mountaintop - note the iced bucket of assorted Semillon vintages. 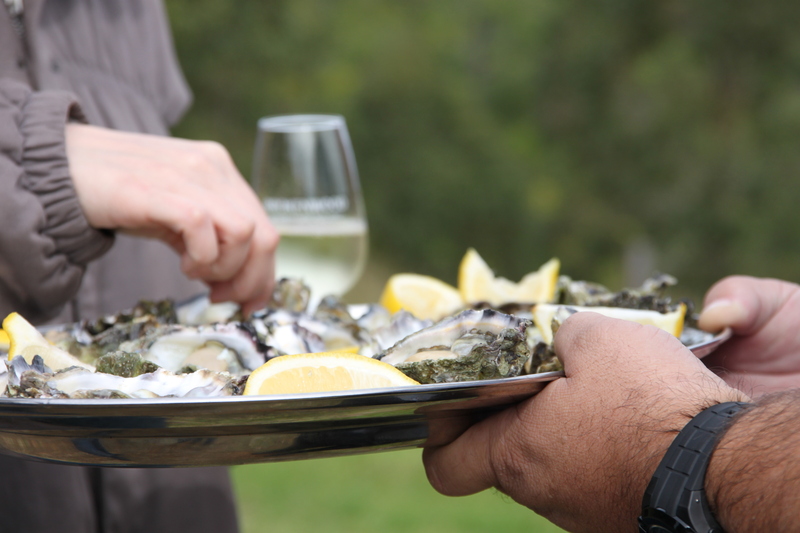 Local oysters were paired with the Semillon after our arduous journey to the top. 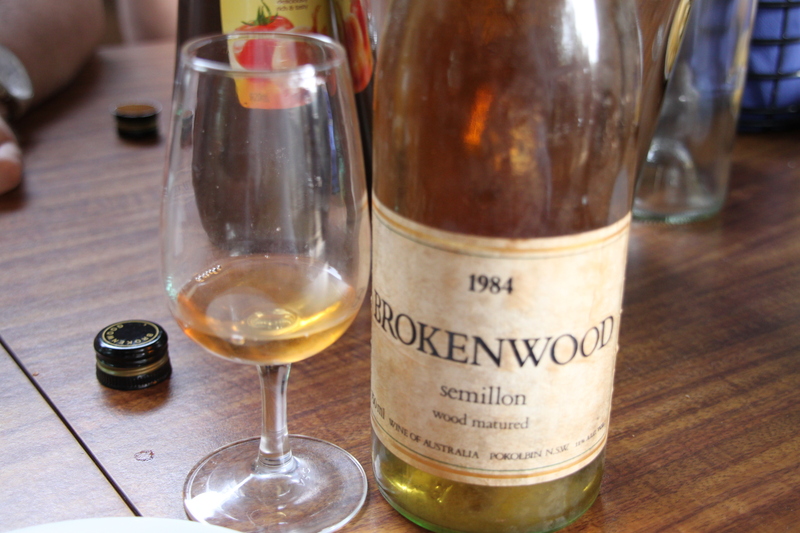 During our BBQ luncheon at Brokenwood, the winemaker showed up and opened some older vintage Semillons - a 1984 and a 1994. These wines are so special and not made in this style anywhere else in the world - complex, with nutty, anise and melon rind aromas, plenty of acid and a long finish. After lunch and a tasting, we took a stroll through the Brokenwood vineyards. We were advised by the GM of the winery to take a "roadie" with us - yay, Coopers. 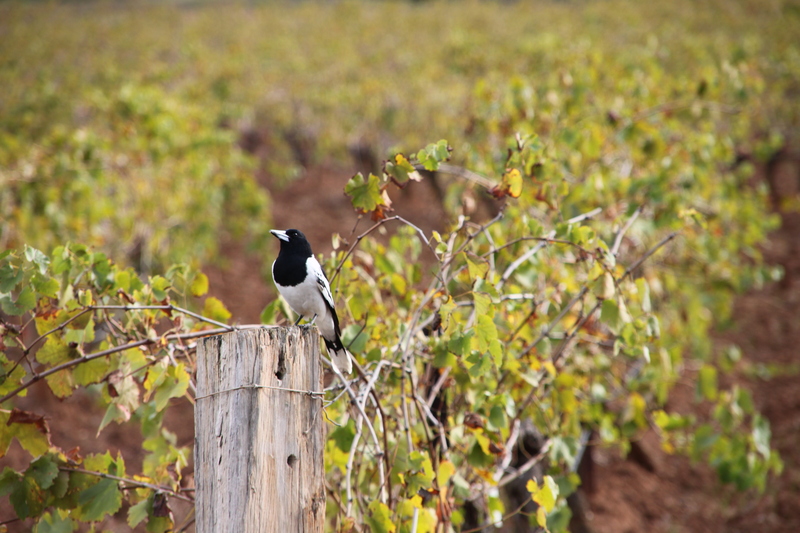 Here, a local bird enjoys the Graveyard Vineyard. 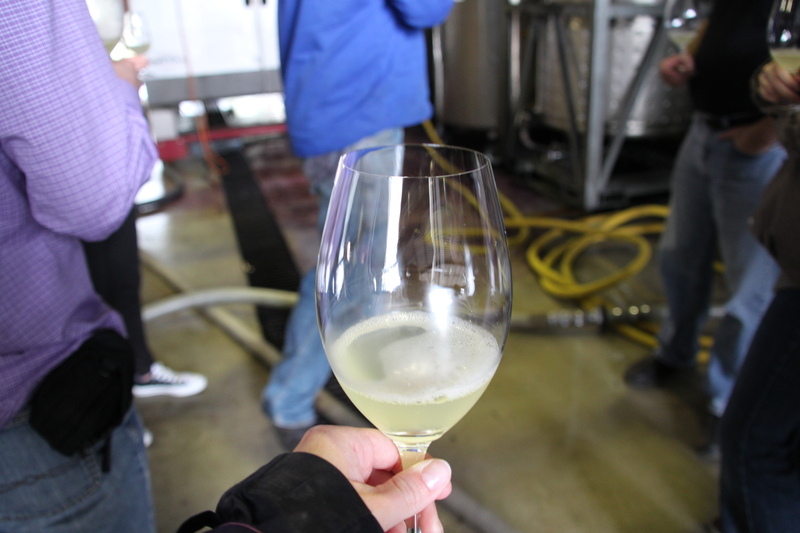 The barrel samples of the 2011 Semillon were reminiscent of lemon curds - bright and lively. A good alternative to afternoon espresso. Brokenwood's motto is "make great wine and have fun". 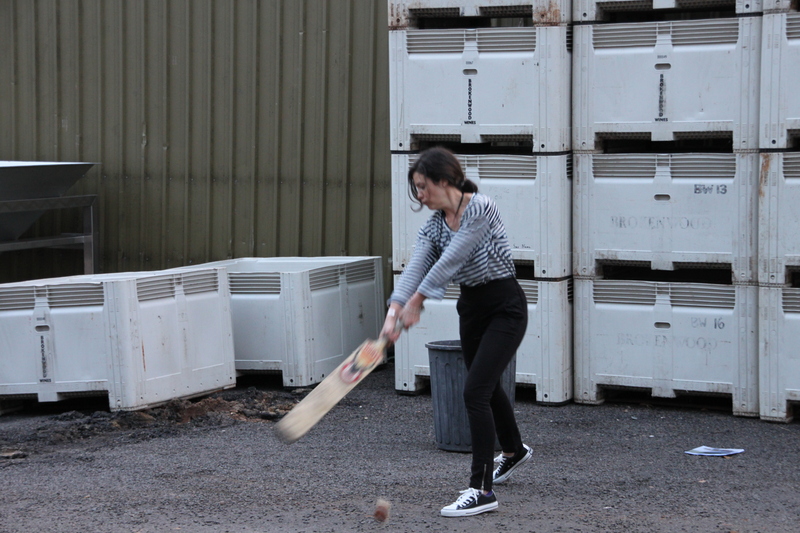 They taught us how to play bung cricket. Those bungs rarely bounce how you expect them to. 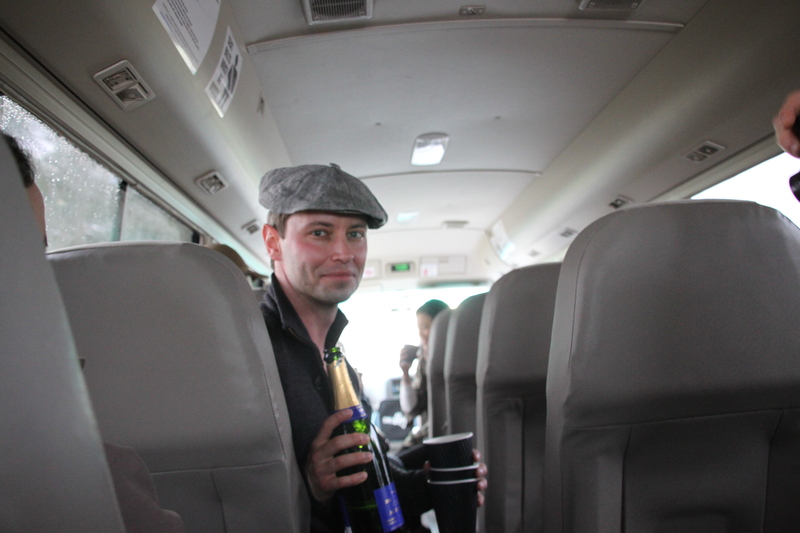 What you might notice in this picture is a short bus, a Canadian, and a bottle of Champagne. What you may not notice is that the clock in the front of the bus reads just after 7 am. This morning, after a 5:30 am wake-up call, we got on a bus from Hunter, back to Sydney, to take a flight to Adelaide, to take a bus to Claire. Whew. At least we had a little something to toast to the fact that it was happy hour time in NYC the day before.